You are at:Home»Opinion»What makes a smart city? What makes a smart city? A few months ago, I walked through the streets of San Jose (above), California, in the heart of Silicon Valley. It was a striking experience. The headquarters of major tech companies, including Apple, Google and Uber, were close by, and there was also fast, free wi-fi everywhere – just what you would expect from the tech capital of the world. I hopped onto a tram, and yes, once again, there was fast, free wi-fi. Does this make San Jose a smart city? What’s the definition of a smart city anyway? I tried to find answers during ITS America 2016 – the event I had traveled to San Jose to attend (held at the city’s McEnery Convention Center (below)). 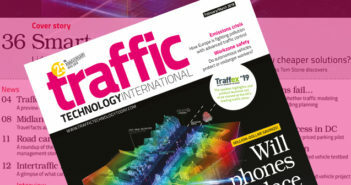 You might agree that at present, the traffic technology industry is quickly becoming more and more like a software industry, with free, fast wi-fi helping it to move forward and deliver mobility services. At the event I was lucky enough to speak to the mayor of San Jose, Sam Liccardo, and I asked him what his definition of a smart city is. “Well, our objective is to promote our city by providinginfrastructure and giving a decent quality of life to our citizens,” he said. “But most importantly is providing a clean and sustainable environment.” He agreed that free wi-fi is one way of creating that environment, but other examples of smart solutionsthat he gave were in the fields of e-governance and citizen services; water management; waste management; energy management, urban mobility and e-health. Back at my hotel I read an article on Forbes.com, titled ‘The top five Smart Cities in the world’. Four out of the five cities – Barcelona, New York City, London and Singapore – all have a common ground of smart traffic solutions and they all use new technology solutions. Meanwhile, another article at FastCoExist.com names other smart cities in its top five list: Vienna, Toronto, Paris, London and New York City. In considering its top five, FastCoExist.com focusses more on sustainability, energy savings and low carbon emissions. What struck me is that there are several ways to define smart city. In our industry, we might be inclined to label smart mobility solutions as the most important elements. But I strongly believe that we all have the obligation to take care of our planet. That means that sustainability, saving energy and creating a circular economy should be a top priority for everyone in the Western world – and the innovative use of information and communication technology is the key to helping us achieve this. The next 5-10 years will be very important if we want succeed. Let’s do our best! We can already take inspiration from cities such as San Jose. ‘Our man in Amsterdam’ Richard Butter is manager of Intertraffic worldwide events, for more about Intertraffic events click here.